Hi, I’m in the Bronx. Many of my family members and friends back in California are fierce Angels fans and have sworn to disown me if I became a Yankees fan. But the fact of the matter is that I’m a baseball fan… I never claimed to be some die hard Angels fan. 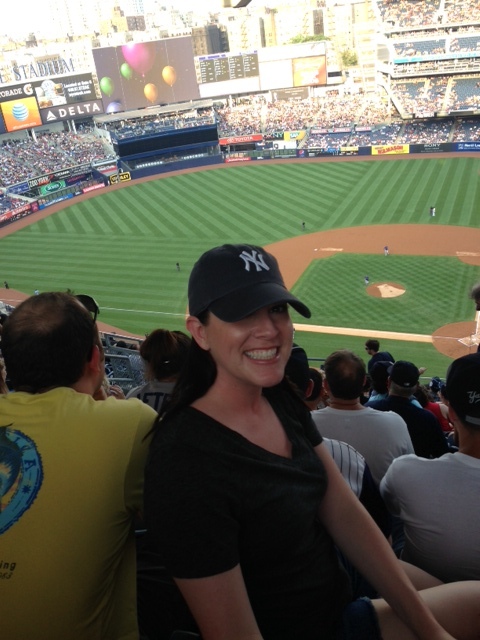 Plus, my dad grew up a Yankees fan… so I didn’t feel too bad rocking a hat from the Evil Empire. And when he won the game with a walk-off homer, I gladly joined the crowd in the “I-CHI-RO” chants. It was pretty awesome… and my favorite part was after the victory, they play Sinatra’s “New York, New York.” It doesn’t get more Big Apple than that. 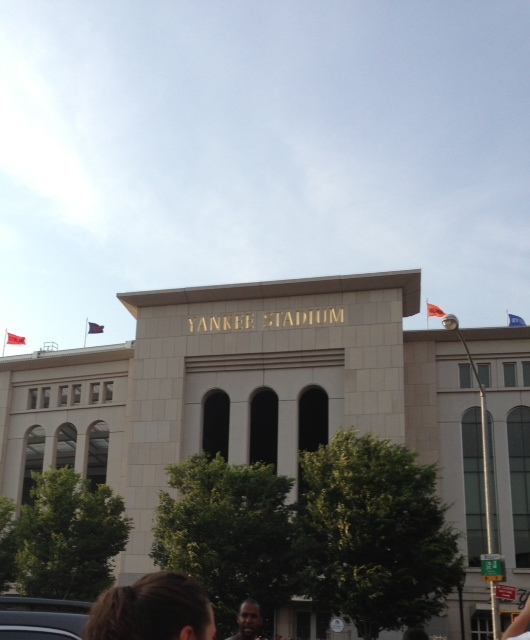 Yankee Stadium. Frank. Victory. I could have cried. Another one of those moments that made me relish in the fact that I live in the greatest city in the world… and I’m freakishly grateful. BUT because many of my friends here say that Citi Field is far superior to Yankee Stadium, I had to give the Amazin’ Mets a go. 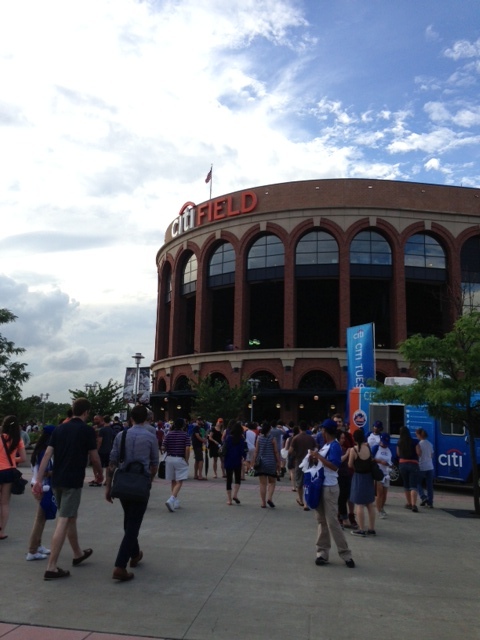 The major downside of Citi Field is that it is in Queens… and it took me about an hour to get there from where I live. (Yankee Stadium is 5 stops away from me on the B train). It definitely felt more like a theme park with the chain eateries and sponsorships everywhere (um, is that a Verizon store in there? )… but they did have a ridiculously good beer selection and the place was fairly immaculate. Yankee Stadium didn’t have all the bells and whistles… but because it’s new Yankee Stadium, it didn’t really have the charm of an old-school ballpark either. So really, it’s a wash. I enjoyed both of my experiences immensely and I can’t wait to get back to more games. My allegiances are with both teams… can’t say I like one more than the other (though with Matt Harvey pitching for the Mets, I can be persuaded… meeeeowww). 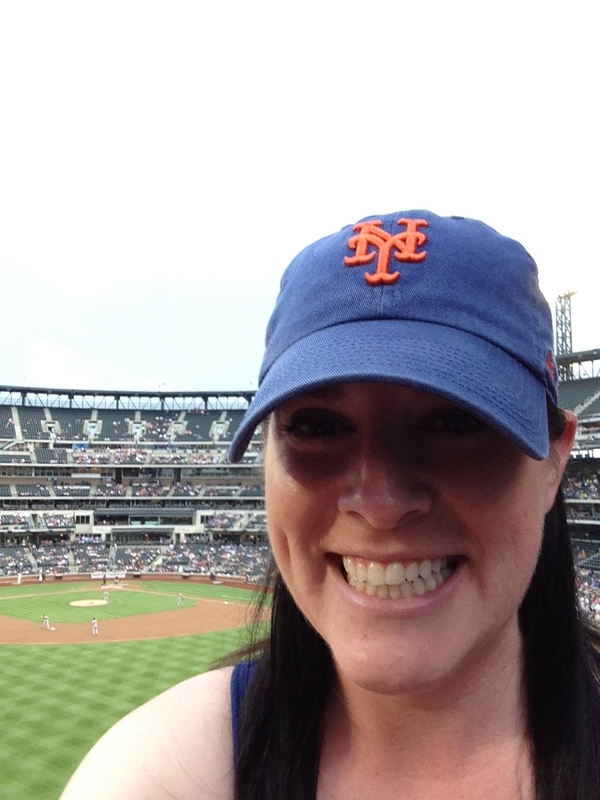 You can call me a bandwagon fan all you want… but I enjoy walking around this city wearing a Yankees or Mets cap. While I may never be considered a real New Yorker (whatever that means), I sure do feel like one rocking these logos on my head… and meaning it.